A young man comes to New York City for a career in theatre. He earns a living teaching drama and performing as a silent clown. He inherits an abandoned puppy and that starts a complicated relationship between man and dog, explored in zany and literary stories. Gary Beck has spent most of his adult life as a theater director. He has 14 published chapbooks. His poetry collections include: Days of Destruction (Skive Press), Expectations (Rogue Scholars Press). Dawn in Cities, Assault on Nature, Songs of a Clerk, Civilized Ways, Displays, Perceptions, Fault Lines, Tremors, Perturbations and Rude Awakenings (Winter Goose Publishing) The Remission of Order, Contusions and Desperate Seeker will be published by Winter Goose Publishing. Conditioned Response (Nazar Look). Resonance(Dreaming Big Publications). Virtual Living (Thurston Howl Publications). Blossoms of Decay, Expectations and Blunt Force (Wordcatcher Publishing). His novels include: Extreme Change (Cogwheel Press), Flawed Connections(Black Rose Writing), Call to Valor and Crumbling Ramparts (Gnome on Pigs Productions). As part of the continuing series, ‘Stand to Arms Marines’, Gnome on Pigs Productions will publish the third book in the series, Raise High the Walls. Sudden Conflicts (Lillicat Publishers). Acts of Defiance and Flare Up will be published by Wordcatcher Publishing. Extreme Change will be published by Winter Goose Publishing. His short story collections include, A Glimpse of Youth (Sweatshoppe Publications). Now I Accuse and other stories (Winter Goose Publishing). 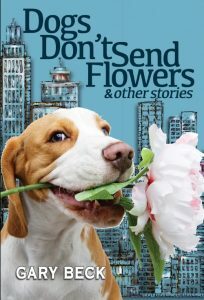 Dogs Don’t Send Flowers and other stories (Wordcatcher Publishing). The Republic of Dreams and other essays will be published by Gnome on Pigs Productions. His original plays and translations of Moliere, Aristophanes and Sophocles have been produced Off Broadway. His poetry, fiction and essays have appeared in hundreds of literary magazines. He lives in New York City. Wordcatcher Publications. Indie publisher – born in Wales, serving the world. Authors are at the heart of everything – without their words we’d have nothing to publish. In a dystopian USA, Beck takes us on a career of intrigue, daring rescues, personal challenges and the costs of a career on relationships. Star counts are the most personal, subjective, part of a review. Let me give you a feel for why I like this book so much. 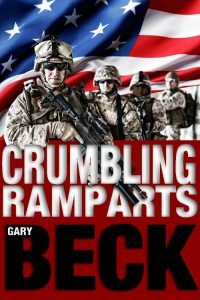 Beck will take you along for a ride with a career Marine officer. You will meet his team, military doctors, and watch him struggle with the problems of a greatly weakened USA. He’s just been screwed for saving his ‘army’ in a difficult retreat. The intrigue goes on from there. You will watch an al-Qaeda operative plot against our chief protagonist. You will learn how much of the world has changed politically. All of this is done with a masterful interweaving of plots. The manoeuvering of military politics merges with daring rescue operations. There is plenty of action. The chief protagonist is a veteran problem solver and this increases both his personal power and the loyalty of his command. I could not put the book down. (I rarely read all of a book this size in one session, but I did it this time.) This is a fine story with adventure, intrigue, politics, relationships, all manner of military hardware and operations. It moves along extremely well. My personal guidelines, when doing an ‘official’ KBR review, are as follows: five stars means, roughly equal to best in genre. Rarely given. Four stars means, extremely good. Three stars means, definitely recommendable. I am a tough reviewer. I try hard to be consistent. I compared this book to three I read at the shack, where my lost cell phone meant no Internet. Those books were very good. Beck is as good, better, in this work, as any of them. Five stars is an easy decision. Extremely recommended. Kindle Book Review Team member. Crumbling Ramparts is the action-packed thriller sequel to Call to Valor, and has us reunited with Marine Major Sam Hanson. In the wake of the death of his son, Hanson’s career has improved following the election of President Zachery Plant. He’s been given more authority to search the homeland for nuclear threats.When the news reaches Hanson that Marines are held captive by ISIS in Iraq, it prompts him to lead a daring rescue mission; giving him the strong urge for retaliation. A new threat of nuclear war looms. Bin Laden may be gone but his terrorism thrives. Gary Beck has spent most of his adult life as a theater director, and as an art dealer when he couldn’t make a living in theater. He has 14 published chapbooks. His poetry collections include: Days of Destruction (Skive Press), Expectations (Rogue Scholars Press). Dawn in Cities, Assault on Nature, Songs of a Clerk, Civilized Ways, Displays, Perceptions, Fault Lines, Tremors, Perturbations and Rude Awakenings (Winter Goose Publishing) The Remission of Order, Contusions and Desperate Seeker will be published by Winter Goose Publishing. Conditioned Response (Nazar Look). Resonance (Dreaming Big Publications). Virtual Living (Thurston Howl Publications). Blossoms of Decay, Expectations and Blunt Force (Wordcatcher Publishing). His novels include: Extreme Change (Cogwheel Press), Flawed Connections (Black Rose Writing), Call to Valor and Crumbling Ramparts (Gnome on Pigs Productions). As part of the continuing series, ‘Stand to Arms Marines’, Gnome on Pigs Productions will publish the third book in the series, Raise High the Walls. Sudden Conflicts(Lillicat Publishers). Acts of Defiance and Flare Up will be published by Wordcatcher Publishing. Extreme Change will be published by Winter Goose Publishing. His short story collections include, A Glimpse of Youth(Sweatshoppe Publications). Now I Accuse and other stories (Winter Goose Publishing). Dogs Don’t Send Flowers and other stories will be published by Wordcatcher Publishing. His original plays and translations of Moliere, Aristophanes and Sophocles have been produced Off Broadway. His poetry, fiction and essays have appeared in hundreds of literary magazines. He currently lives in New York City. Gnome On Pig Productions works with an elite grouping of authors, artisans and illustrators to achieve the common goal of success! We are quickly expanding into an international business, reaching across the globe. We are gaining recognition for our high quality, awards and expanding products which include: Books, unique shopping opportunities for products, and many other types of medium. It is all here for you to explore! Gnome On Pig Productions is based out of Orillia, Ontario, Canada, but has acquired talented authors, illustrators and artists from all over the world! In classic Beck fashion, Gary Beck addresses somber issues in an amusing way in The Clown Show. In this play 3 characters are introduced: Mr. Barker, the Theater Manager, and clowns Koko and Pipi. These characters are believable and charming. Even the grouchy theater manager, Mr. Barker, grows on us in an endearing way as he continues to give the clowns more time to get ready. Before the clowns get ready they manage to aggravate Mr. Barker in a whimsical, playful way. The poor manager does not know what to think of these irreverent clowns, as they tease and cajole him to a frenzy. They are nothing like anyone he has ever seen before. Dan Snow is sincere and makes a great foil for the clowns as they remind him, to his chagrin, there has been a long history of female clowns. Nancy Beck , as Pipi, and Angela Madden as Koko, bring integrity and life to these two clowns as they pose the question, “Where is the circus?”. They find themselves wondering “Why must we perform once again for children who are not used to live audiences and prefer video games?” This trio shows true expression and rapor with one another as they deliver their message which provides a commentary on today’s society. They talk about being in a “sovereign state surrounded by air” and how “We shouldn’t fear our neighbors but fear a President who does bad things.” They also touch on the subject of bullying as Koko queries, “Why must we always work for bullies who do not understand us?” But, with courage, Koko and Pipi move forward as they “stem the tide of despair” to share their laughter with people who need them. I would love to see a sequel of the adventures of these characters! Crumbling Ramparts is the action-packed thriller sequel to Call to Valor and has us reunited with Marine Major Sam Hanson. Gary Beck has spent most of his adult life as a theater director, and as an art dealer when he couldn’t make a living in theater. He has 14 published chapbooks. His poetry collections include: Days of Destruction (Skive Press), Expectations (Rogue Scholars Press). Dawn in Cities, Assault on Nature, Songs of a Clerk, Civilized Ways, Displays, Perceptions, Fault Lines, Tremors, Perturbations and Rude Awakenings (Winter Goose Publishing) The Remission of Order, Contusions and Desperate Seeker will be published by Winter Goose Publishing. Conditioned Response (Nazar Look). Resonance (Dreaming Big Publications). Virtual Living (Thurston Howl Publications). Blossoms of Decay, Expectations and Blunt Force (Wordcatcher Publishing). His novels include: Extreme Change (Cogwheel Press), Flawed Connections (Black Rose Writing), Call to Valor and Crumbling Ramparts (Gnome on Pigs Productions). As part of the continuing series, ‘Stand to Arms Marines’, Gnome on Pigs Productions will publish the third book in the series, Raise High the Walls. Sudden Conflicts (Lillicat Publishers). Acts of Defiance and Flare Up will be published by Wordcatcher Publishing. Extreme Change will be published by Winter Goose Publishing. His short story collections include, A Glimpse of Youth (Sweatshoppe Publications). Now I Accuse and other stories (Winter Goose Publishing). Dogs Don’t Send Flowers and other stories will be published by Wordcatcher Publishing. His original plays and translations of Moliere, Aristophanes and Sophocles have been produced Off Broadway. His poetry, fiction and essays have appeared in hundreds of literary magazines. He currently lives in New York City.